Taking a leap of faith at any age to pursue ones dream takes courage, determination and self-belief so when the opportunity to throw-down fresh, shiny new roots (please excuse the pun) presented itself, Etta Kotting made her dream a reality in the most divine way and is now the proud owner of the exquisitely-decorated boutique hair salon, Seventy Seven Norman Road St. Leonard’s-on-Sea. It’s the bold and brave who pave the way for others who are following their own dream and this amazingly focused, talented and driven young woman (with the prowess of a hair-wizard, I tell thee), has most certainly got a bright and shiny future ahead of her. How long have you been creating beautiful colour/styles and where did you study? I’m fairly new to the industry, it’s only been 4 years since I started hairdressing however it is something I’ve always had a passion for and used to practice on my mum and sister at home way before it became a career! I was lucky enough to get an apprenticeship so I studied one day a week at Sussex coast college and the rest of my days I was at Truffle learning on the job. It was a great opportunity and I learnt so much from being around great stylists day in day out. Starting up my own business at such a young age was definitely a leap of faith, I feel like everything happens for a reason in life and the opportunity arose so I chose to be brave and take it. My parents are so supportive and they have always encouraged me to work for my self and create something I can be proud of, so that’s exactly what I’ve done. Creating Seventy Seven was a whirlwind and something I definitely hadn’t planned nor seen coming however if I had thought too long and hard about it I’m sure I could’ve talked myself out of it but sometimes you just have to be brave and take that leap of faith! Colouring techniques seem to be advancing and evolving all the time, what’s your current favourite technique to use? As you can probably tell from my Instagram page @hairbyetta, Balayage is my all time favourite colouring technique! It is such a beautiful low maintenance technique that can be used on all different hair types and colours which is why I love it so much and use it so often! I just find super blended natural looking colours so satisfying to create! Colouring is always evolving and I’m always excited to see what trend is next. You use Kevin Murphy Hair products which are paraben and sulphate-free. How did you discover them and what are their benefits? My business partner Paul actually discovered the Kevin.Murphy products online and I loved the ethos and look of the products which is why I decided to stock them in Seventy Seven. All of the products have so many different benefits however some of my favourites are the fact that are packed full of antioxidants, vitamins A, C, E and amino acids to replenish and restore the hair. 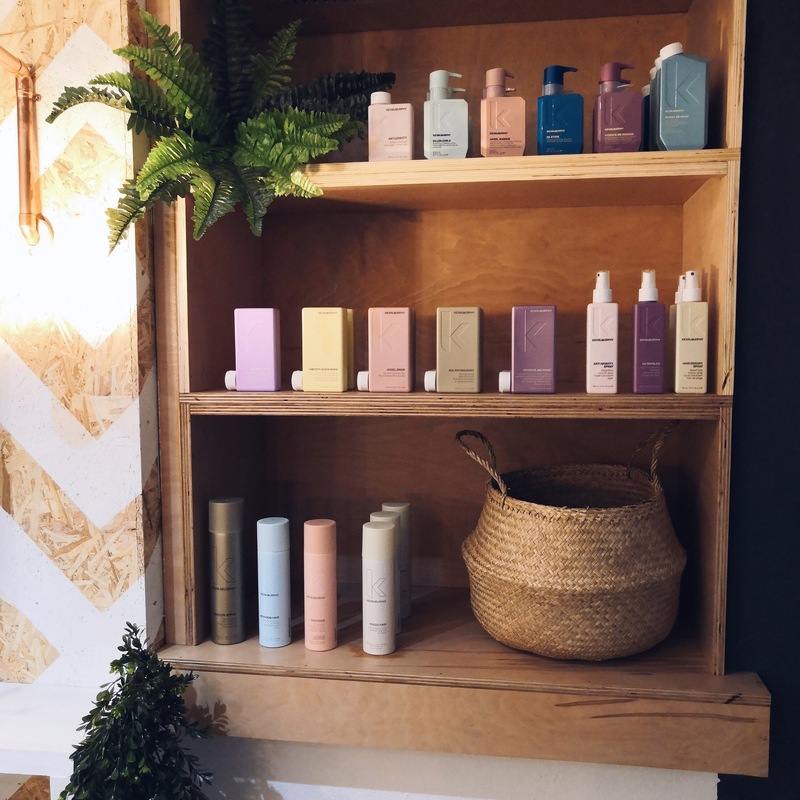 I also absolutely love the fact that Kevin.Murphy will be creating packaging with 100% recycled ocean plastics by the end of 2019! 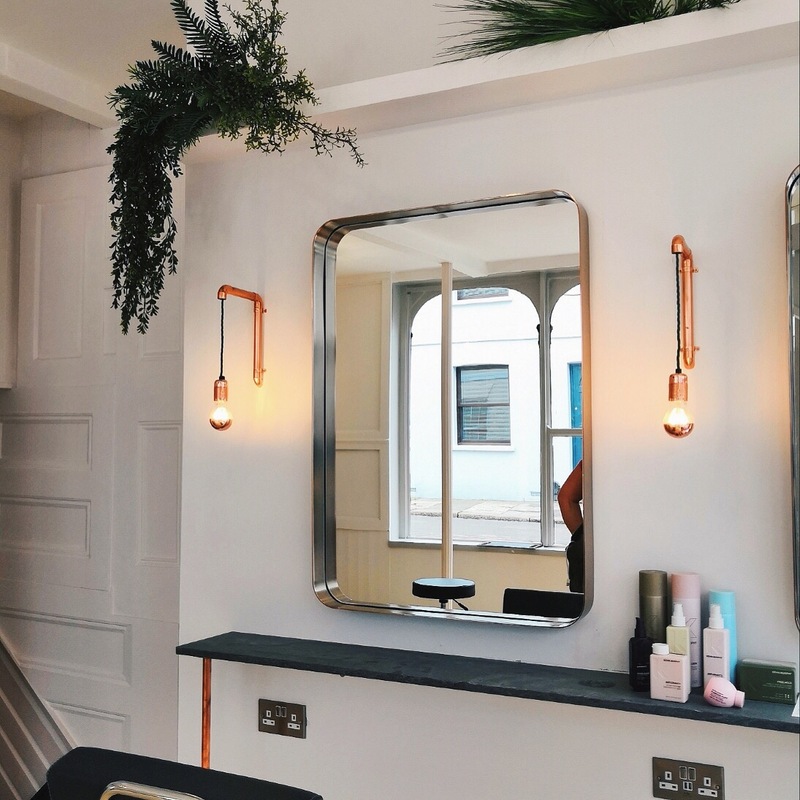 Your salon is beautifully decorated, did you design it yourself? Thank you so much. 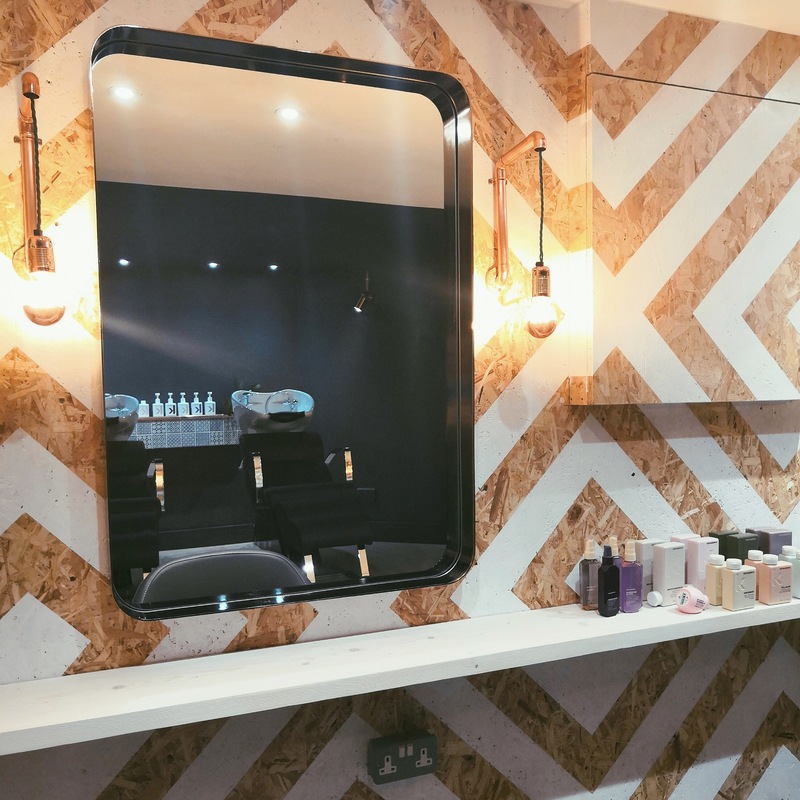 Yes I designed the salon along with the help of my amazing mum and builder. 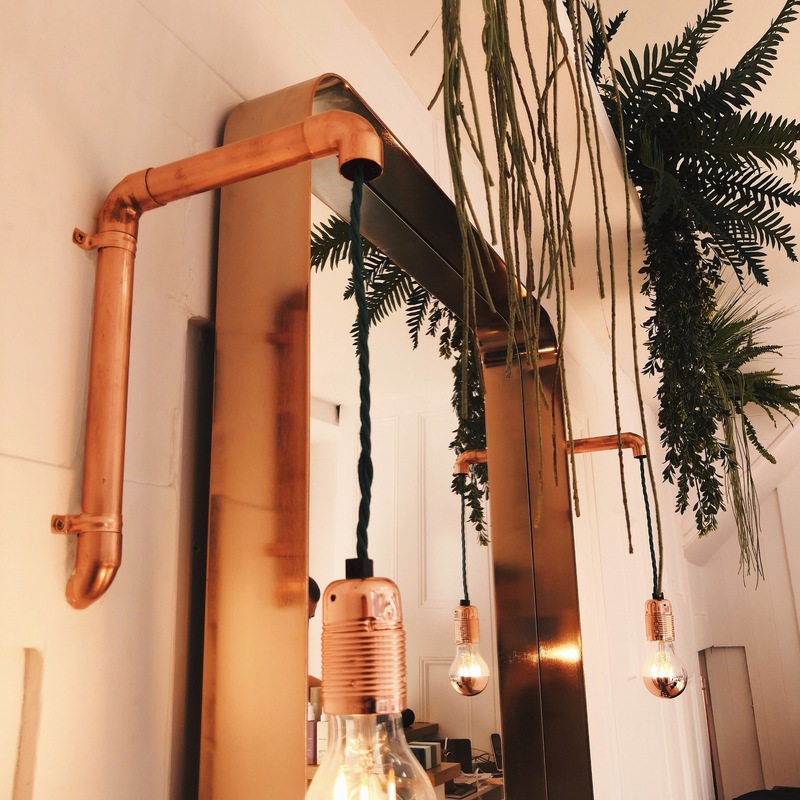 Interior design is something I’ve always loved so getting to design my own salon was such a fun experience. Pinterest definitely became my best friend whilst I was designing the space! 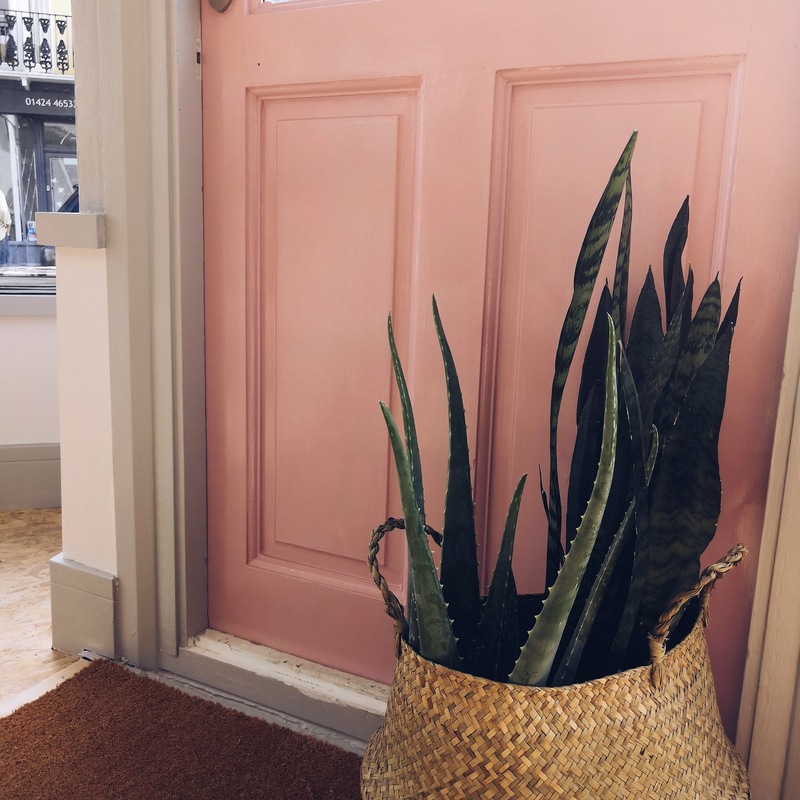 I made a mood board to start with and dusty pink, green and copper were the features. It’s so nice to work in a space that you’ve designed yourself! 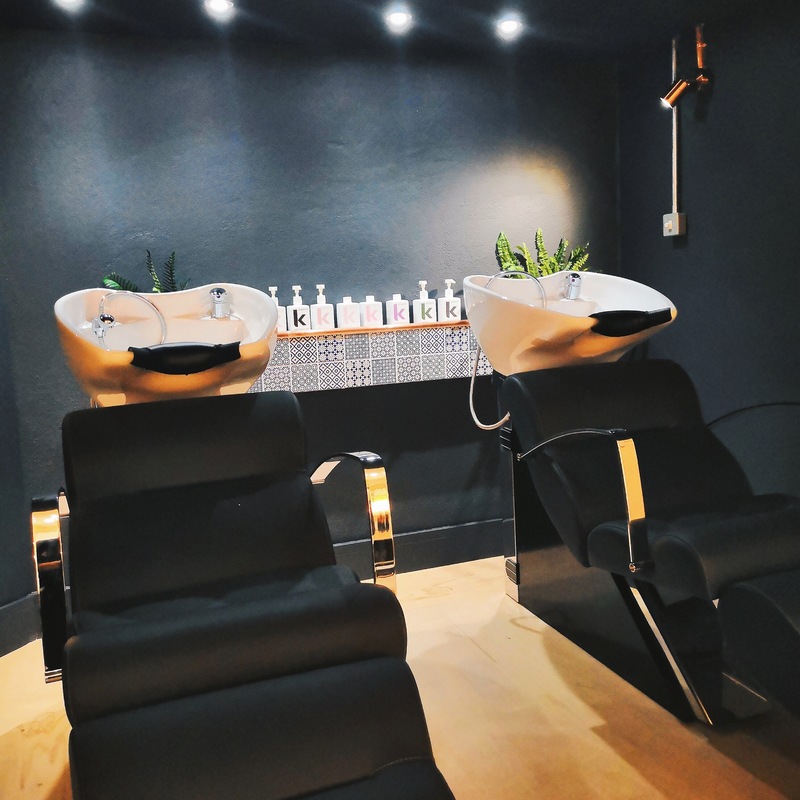 This might be a bit premature (as your salon is only a few weeks old), but what are your plans for the future of Seventy Seven? I just want to take each day as it comes with Seventy Seven and let it grow organically, my focus is giving clients what they want and creating a warm and friendly environment for my lovely loyal clients. But I definitely hope for Seventy Seven to be a success and I think as long as I keep putting positive energy into the business, great things will follow! I imagine that changing a persons hair can have a profound and positive effect on their self-confidence and how amazing that you are the facilitator of this! What is the most rewarding part of your job? You’re so right, hair is so important to a lot of people and it can really affect how they feel. The most rewarding part of my job is definitely when you transform someone’s hair and you can instantly see in their body langue it has had a positive effect on their confidence and happiness. 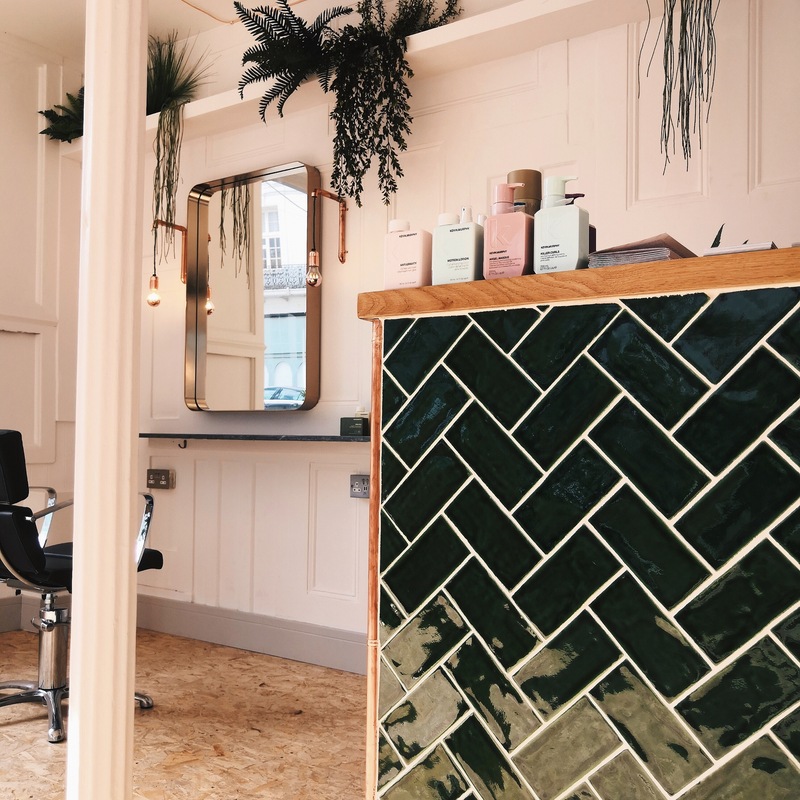 What do you think are the benefits of opening a salon right in the heart of such a bohemian and creative area? I love the whole feel of St Leonard’s and especially Norman Road. I feel lucky to be working in the heart of it where so many cool things are popping up and it means I get to meet so many wonderful creatives day in day out. What would be your advice to anyone wanting to take their own leap of faith in the business realm? I’m probably too new to the business world to be giving advice however if I had to give some advice for anyone wanting to set up their own business it would be to just follow their dreams and go for it! My middle name is Freedom and that’s exactly what it feels like when leaving employment and stepping out on your own! What’s the worst that can happen, right!? I have to ask this 🙊 – What’s your favourite smoothie blend?